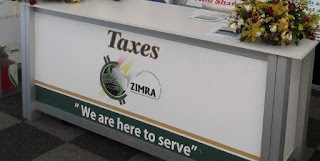 The Zimbabwe Revenue Authority (Zimra) recorded a decline of $27 million in revenue collected from both commercial and vehicle imports during the 10 days after Government effected the payment of duty on specified goods in foreign currency on November 23. It is understood that Zimra collects 30 percent of Government revenue. In addition, 70 percent of the authority’s total revenue comes from Beitbridge which racks in around $400 million annually. Zimra’s head of communications Mr Francis Chimanda said during the 10 days before the announcement of the 2019 national budget they collected a total of $44 579 314, 94 on commercial goods. “Further, a total of $17 935 969,83 in revenue was collected between November 23 and December 2, 2018 on commercial goods at all ports of entries,” he said. Mr Chimanda said they collected $5,4 million (between 12 and 22 November) and $1,6 million (between 23 November and 2 December), respectively on vehicle imports nationwide. He said vehicle import through Beitbridge had declined from around 200 to 40 daily. “An average of 40 vehicles are being cleared on a daily basis,” he said. Further, the national daily average of revenue collected for imported vehicles and commercial goods is $267 311,90 and $3,1 million daily.